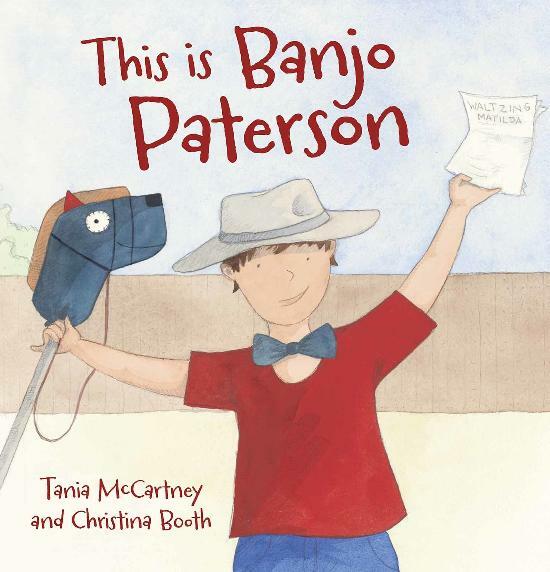 Tania McCartney Blog: This is Banjo Paterson Day 7 - win a copy of the book! This is Banjo Paterson Day 7 - win a copy of the book! It's launch day! And to celebrate, here's your chance to win a copy of This is Banjo Paterson! We have two copies to give away. To win, all you have to do is leave a comment below (or email it to me here if you can't access Blogger), telling me which historical Australian you'd like to see a children's book on. My two favourite suggestions will win a copy of the book. If you miss out, you can snaffle a copy of the book right here, or come along to my book launch at the National Library on 12 February in Canberra--details below. COMP DETAILS: The comp runs from today until Tuesday 7 February 2017 at 9pm Australian Eastern Daylight Savings Time. The winners will be announced the next day, right here on this blog. The comp is open to anyone, world-wide, so long as the book can be sent to an Australian address. This is a game of skill, not chance. The winning decision is final. I'd really like A book about Nan Chauncey. From what I've seen during the week your book of Banjo is beautiful. Dame Nellie Melba would be an interesting hero as well. Who is Mary Reibey? And why does her face grace our Australian twenty dollar note? Was she one of Australia's leading entrepreneurs? How about the story of friends Fanny Durack and Mina Wylie, Australia's first female Olympian swimmers? How about George Bornemissza who introduced the dung beetle to Australia; this led to the development of sustainable agriculture and greatly reduced the number of bush flies? Or any of the following fantastic and not so well known women ….Fanny Cochrane Smith, Prof Elizabeth Blackburn, Elizabeth Kenny, Marie Byles, Florence McKenzie (Mrs Mac) , Louise Mack, Jessie Street, Deborah Wardley, Ruby Payne-Scott.